In Estonia, Devonian period (appr. 359-419 million years ago) is represented mainly by terrigeneous sediments (sandstone, aleurolite, clay), less by carbonates (dolostone, limestone) in central and southern part and sporadical successions in northeastern Estonia. 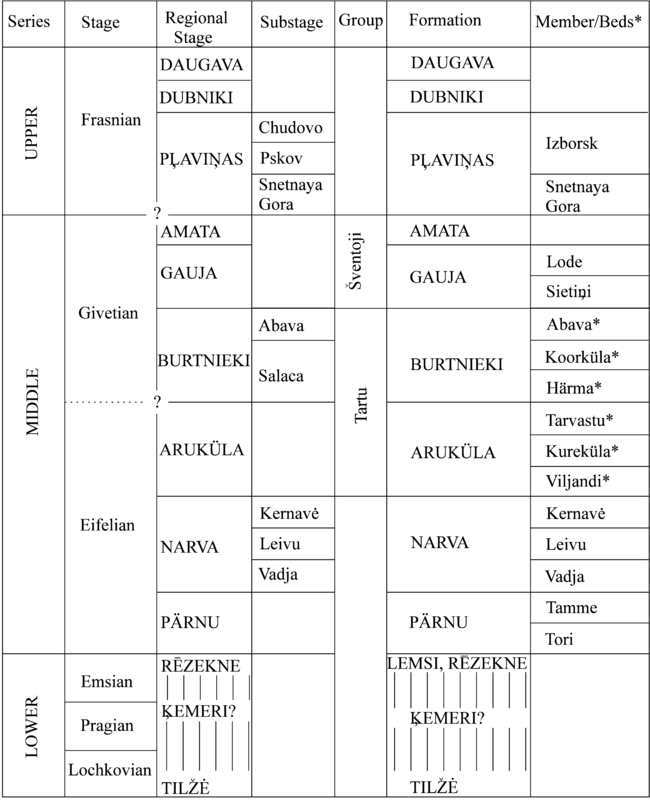 Total thickness of the Devonian sequence extends up to 500 m.
1997: Estonian Devonian stratigraphy (ECS official version), authors A. Kleesment and E. Mark-Kurik, published in "Geology and Mineral Resources of Estonia"